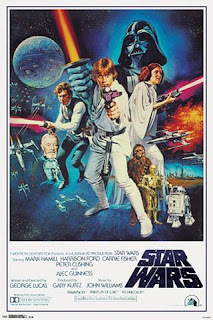 On this month's Patrons-only bonus episode, the gang is chatting effusively about beloved, action-packed space opera, Star Wars! There's no point in telling you three measly plot points covered in this episode like we normally do in descriptions, though. This is the longest recording in show history and we had a ton of fun talking about one of our greatest loves! If you don't yet have access to this exclusive, extra-long episode, check out this extended preview clip and have a listen to what you're missin'! Then head on over to our Patreon page and sign up today to access the whole thing!